I don't have this exact model but one from the same series - a PN50A550 to be exact. Originally when I purchased it I did not do much research on the model - which is frankly unlike me. I bought it because there was a deal on it and decided to take the plunge. Previous Samsung Plasma series have been known to be unreliable and noisy so I was a bit worried. Well, so far I've had my 5 series plasma for over 2 years and have had virtually no problems with it and I use it quite a bit. There's no burn in (well there is but it clears out pretty quickly). There isn't much electronic noise coming from the rear (although there is some, so if you're expecting a completely quiet TV you won't get it from this series of Samsung plasma). Plenty of inputs and a swivel base are all things this TV has and really leave you wanting very little from this TV. Sure it isn't 3D and only 120hz but I still think its a great TV for a great price. Great picture, great style, great price! After spending months researching HD tv's and driving myself crazy in the process, I finally settled on this TV and don't regret it. The HD picture is AMAZING! The colors just pop and the pic is so sharp and lifelike, it almost looks 3D! The anti-glare screen is pretty effective--I've got massive windows in my room, both adjacent to and across from the TV and it does much better than my old CRT in this respect.As for standard def quality--I was pleasantly surprised. I expected to be bothered by it, but it's not bad at all. In fact, it's better than my old CRT (9 years old). It, of course, can't compare to the hi-def picture, but it's completely watchable.You really can't go wrong with this set--it has a 2-year warranty and the price is very competitive for a 1080p set. If you're a real stickler, simply have to have the best out there, and money is no object, then check out the high-end Pioneers. In my opinion, though, it's not worth shelling out the extra bucks for a difference in picture quality that you won't even notice unless you put the tv's side by side. And even then, the difference is small.If you want to save even more, though, go for a Samsung or Panasonic non-1080p set. Again, the picture difference is small and, unless you've got a Blue-Ray or Hi-Def DVD player, the 1080p won't make much difference. If you're going for smaller than a 50", then definitely don't waste your money on 1080p! We absolutely love this tv. I have never owned and LCD but all my family does and our picture are far more superior to their tv. This samsung has plenty of connections and looks great on our wall. We love this tv so much we bought a 43 inch for the bedroom. 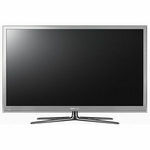 a samsung plasma aslo...... The picture quality is great. Watching football in HD actually looks like your at the game! We purchased the tv a couples months ago and received a great deal on the product, but I have to say that I have mixed feelings about it. First is that you can leave anything from your DVR on pause because if you do it will burn and image into the screen. So that makes it really hard especially for somebody like me that has to keep up and down for many various reasons. Second you have to HD channels or the picture is too small on the screen and again it will burn an image into the screen. They do have a burn image protector in there but you have to turn it on by going into the menu and sometimes it is just to time consuming for all of that.Other than that the picture quality is really good and the sound is very good as well. Again based on that you would have to decide if saving the money like I was doing is really worth it. Also it is very easy to hook up video game systems and dvd systems just need hdmi cables. I LOVE my Samsung Plasma TV, greatest housewarming gift ever!! I was thrilled when I saw the box come out of my best friend's car at our housewarming. We have been addicted to our Samsung 50" since we got it!! The picture is phenomenal and the quality is can't be beat. I sighed with relief when I saw the manufacturer. Samsung is definitely a brand you want to consider! 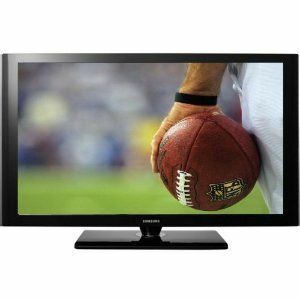 An immaculate plasma TV for a moderate price. This is the television you should show all your LCD buying friends to prove how vastly superior plasma is. Deep, true blacks, immense contrast, and realistic colors put all LCDs, and most plasmas, to shame. Forget about the 3D fiasco currently sweeping Hollywood; mate a decent Blu-Ray player to this 1080p set, and the results are so vivid and sharp that it will look like stuff is jumping out of your screen, sans silly looking glasses. The set has a very clean, simple design (the piano black frame is handsome, but a serious fingerprint magnet); I especially like the cool blue "on" light beneath the screen (this can be turned off for you pitch-dark movie watchers). I've set this TV up as a second monitor for my computer, and can easily watch Hulu, Netflix, and home movies through my PC. The set comes with a good array of connections; I've heard complaints that it "only" has 3 HDMI ports, but, if you have more inputs than this, you should be routing them through a receiver anyway. The menus are all easy to read and intuitive to use. It has developed a slight burn-in in the lower right hand corner (frackin' channel bugs! ), but this is only noticable on an all white background (i.e. the menu of my Wii). All in all, this is a top notch screen, particularly if you want to watch movies at the highest quality possible. 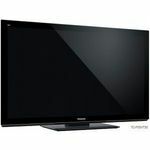 Samsung 50" is a good value for the price. High quality. Bought my Samsung 50" right after christmas time. Set out to buy a smaller one, around 42", but found such a great deal on this one. Heard that was the best time to buy one, since newer models were about to come out. 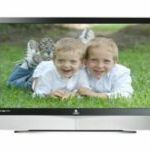 Kept my eye out on this specific tv and the price. Read many many reviews that were very helpful in making my decision. Purchased this confidentely and am still happy with my decision. Had one incident with a burn in due to a game I was playing on my PS3. Used the burn in thing to take it off and it worked great. Got me a little hesitant, but not too much. Picture is great. Sound quality is okay, not the best, but it works. Would defenatly buy another one and reccommed purchasing to a friend. Samsung is high quality and I am proud with my decision. I love it! I have my samsung television since December of 2008. I just love this television. It has great color, is very neat and stylish. It has many ways you can place your television. It has a stand base, you can mount it on a wall or as I did is I purchased. I purchased a televison stand with a back mount and mounted it to that. It looks great and is really a pleasure to watch. I love this television. can never go back to a small tv again! happened to see a killer deal in an add for a plasma bundle. i was hestitating on proceeding but after some talking into by my husband, we went forward with the purchase. and now, i'm hooked... i can never go back to a regular tv, especially not in my living room. we now want to upgrade all tv's in home for at least 32 in plasma. great investment! This big screen plasma changed my life. This is my first big screen television and it looks great. It took a little time to set-up the high Def, mostly my lack of knowledge, but out of the box this was the best, most satisifing piece of electronics that I have purchased in years. The clairity when I first started watching was amazing. And when I traded in my regular cable box for the digital, like I said earlier, it changed my life. Everything from multiple inputs, easy of use, to little things like a nice swivel base, this TV can't be beat.